I wish I had known all that I know now prior to becoming infected so that I could have taken steps to prevent it. It is not enough to think, “Oh, I’ll worry about it when I get bit.” If you wait that long, it’s too late. And in some cases, there is no cure….no returning to health. Even if you are fortunate enough to successfully treat Lyme disease, there is always the chance of reinfection. So, the more you learn and the more adamant you are with prevention, the better off you will be. Prevention begins with education. Learning how to protect yourself, how to recognize symptoms, and what to do if you do find a tick or a bulls-eye rash are important. Understanding how this disease works and why it is so difficult to diagnose and treat is equally important. Please take the time to educate yourself, family, friends, and medical professionals. Diet and overall health is one of the most important parts of prevention in my opinion. Making sure that your body is healthy and your immune system is functioning to its fullest could save your life if you do become infected. Personally, I believe this is the reason I was able to beat this disease so quickly, regardless of being misdiagnosed for years. I also believe this is much of the reason my symptoms remained minor for so long. It wasn’t until my diet and activity level declined that my symptoms quickly worsened. Protecting yourself, your family, your pets, and your environment from exposure is the next step. There are many methods to doing this, and all are sound approaches. It is a matter of preference as to how far you want to go and what products you choose to use. I would rather be over-cautious, than take the risk of infection or re-infection, regardless of what other people may think. Understanding that Lyme disease exposure is not limited to common “endemic areas” is crucial. Lyme disease has been found in all 50 states and across the globe. Please review the LDA’s Cases, Stats, Maps, and Graphs. You are most likely to be bitten in your own yard or home and you can be infected 12 months out of the year. 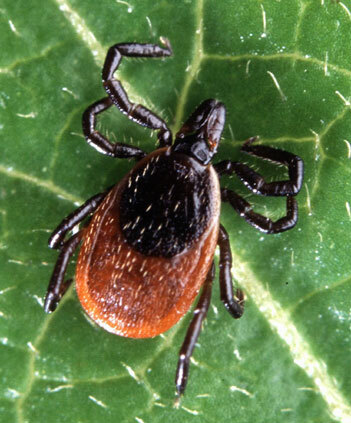 Ticks are not the only way you can get Lyme disease. An increasing number of insects and arthropod vectors are known to be carriers including mosquitoes, biting flies, fleas, and mites. In addition to deer: birds, mammals, and rodents of all sizes can also be carriers of Lyme. The white-footed mouse is the most common carrier. When you or your family are outside, even briefly, use precautions and thoroughly check for ticks. Inspect your outdoor space for prime tick spots and make changes to lessen the likelihood of tick habitat and exposure. Make sure to dress appropriately and use a repellent. Understand where ticks like to hang out and be aware of your surroundings. Your pets, especially if they go outdoors, can be prime suspects for bringing ticks into your home. If they don’t need to go outside, don’t let them. If they do, check them each time before you bring them back in the house. Especially with dogs, people tend to be too lazy to check every time. Dogs are more likely to become infected with Lyme disease than humans. And if they bring them into your house, your whole family can become infected. Remember, it only takes one tick. If you do find a tick on you, a family member, or your pet, make sure you remove it properly. Improper removal increases the chance of infection. Save the tick and have it tested not only for Lyme disease, but the many co-infections they carry as well. Remember, less than 50% of those infected with Lyme disease see a tick or produce a rash, so DO NOT wait to see if a rash appears. Tick Identification can be helpful in determining the most common co-infections that are carried, although testing is still recommended. Depending on where you live, there are different types of ticks. Some are more likely to carry specific co-infections than others. And some are more likely to carry Lyme disease than others. Keep in mind that ticks come in all sizes. Some are too small to be seen with the human eye. Knowing what to look for is important. Understanding and being able to recognize symptoms is a big deal when it comes to prevention. The earlier you recognize symptoms and get treatment, the better your chances are of successful treatment. This is the number one way to prevent Chronic or Late Stage Lyme disease. Take precautions EVERY time. It only takes being infected once to disrupt your quality of life and turn your world upside down. It isn’t worth the risk. Don’t be lazy about it, and don’t worry about what other people think. Protect yourself, your family, and your pets. I cannot emphasize education enough. It is the cornerstone to prevention. Don’t believe everything you hear, but KNOW for yourself. Learn as much as you can. Educate others as much as you can.